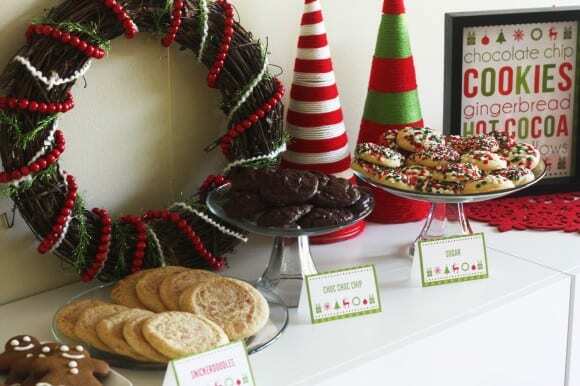 I've always loved Christmas cookie exchange parties. 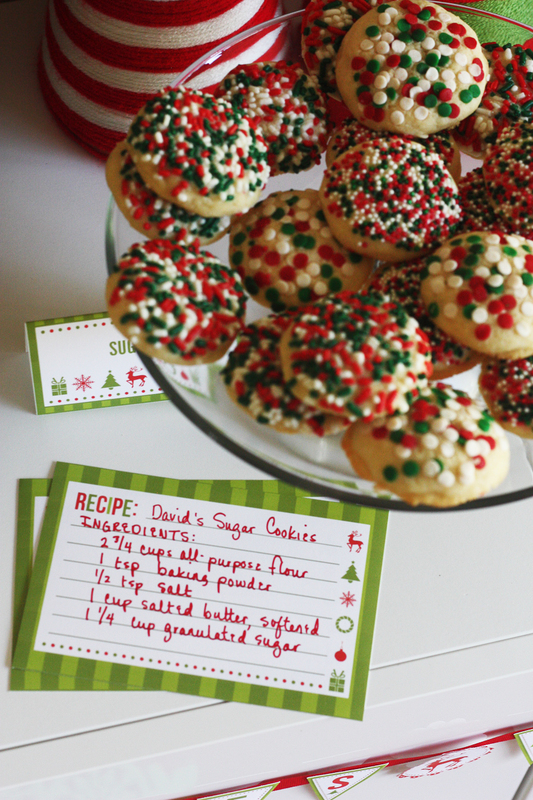 I think asking your guests to bring over their favorite batch of cookies and putting them out for everyone to share feels very "season of giving" to me. 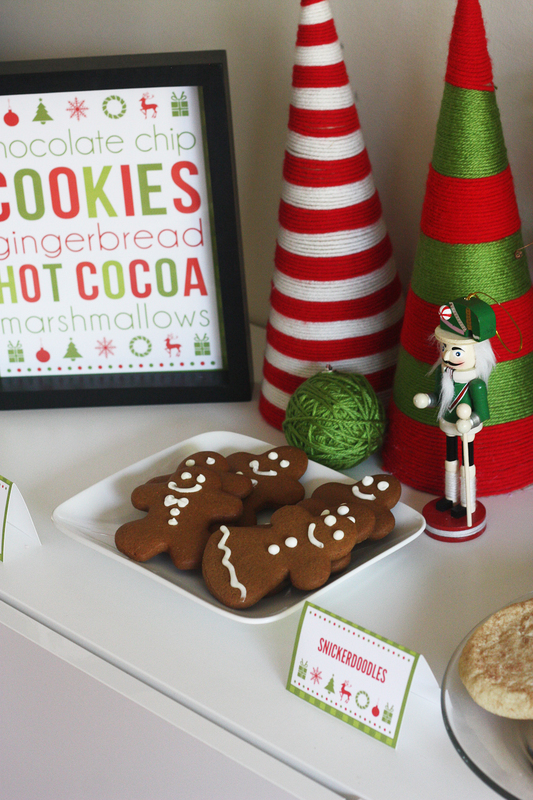 So check out the free cookies & cocoa Christmas Printables we created. 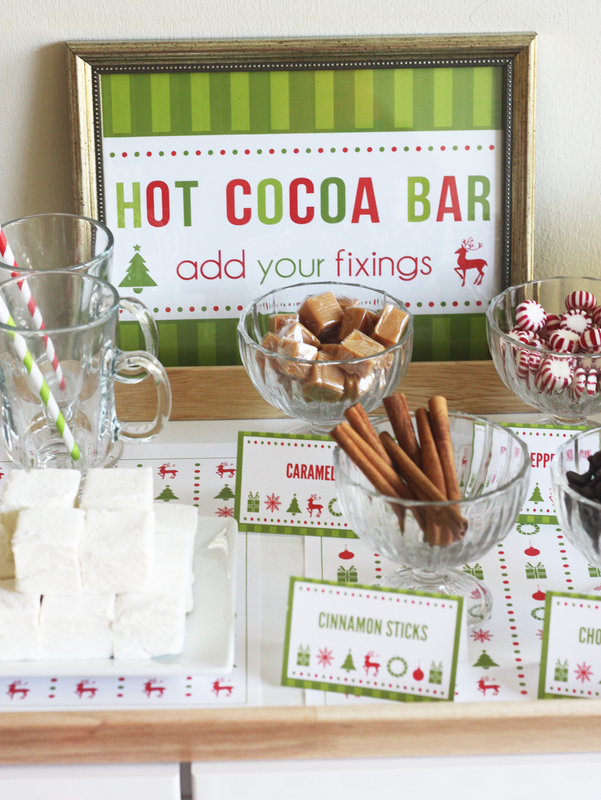 There are even printables to set you your own hot cocoa bar. 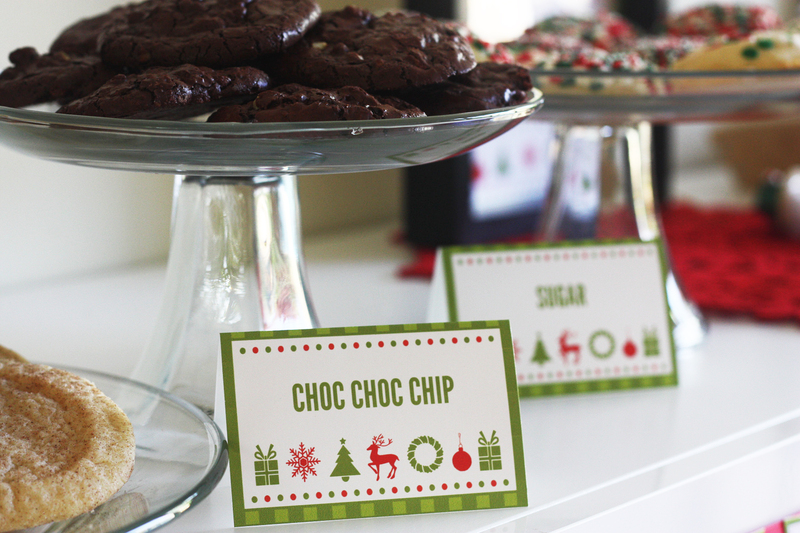 Download the free Cookies and Cocoa printables here! 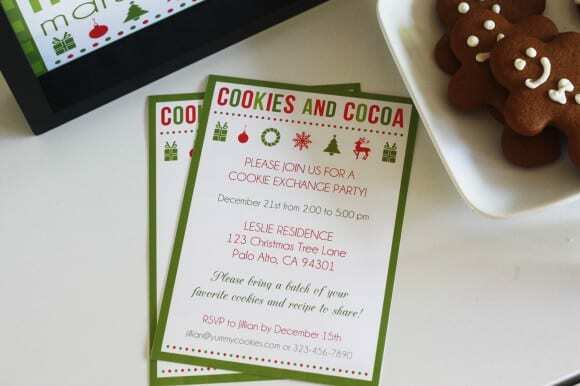 The collection includes tented cards with editable text fields. This mean you can type in what you want them to say and print them out, like these below. I love the 8x10 inch subway art, and how perfectly it fits in with my other decorations. Here are the invitations. These also have editable text fields so you can personalize them any way you want. 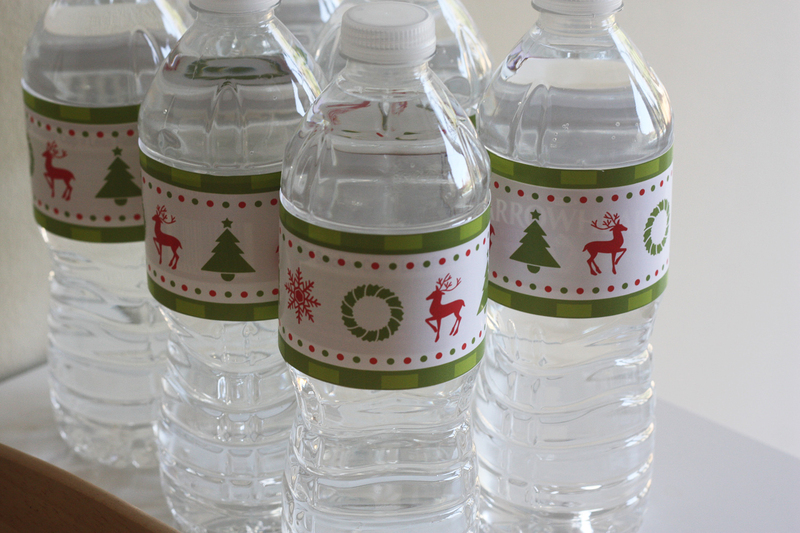 Cute water bottle labels. I always think it's the small details that really make a difference. Here's the mini banner and small party circles I used to add detail below my cookie display. There is also a full-size banner in the collection. 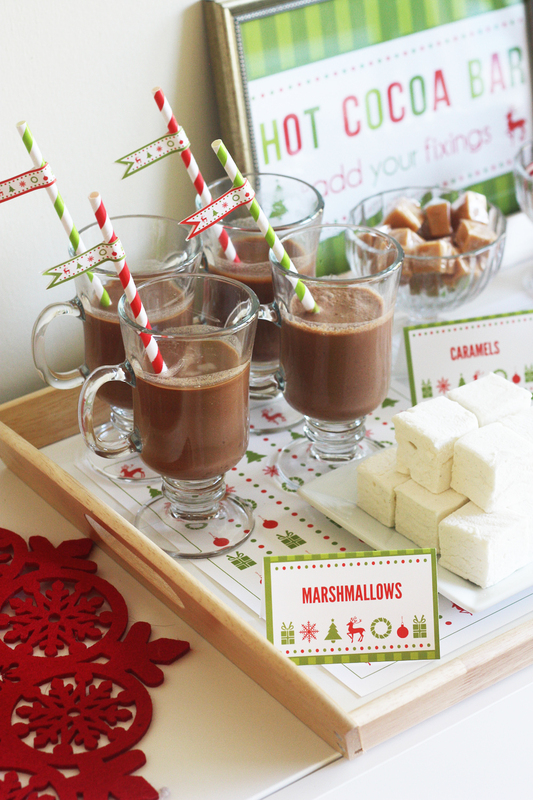 And here's the hot cocoa bar. I framed this 8x10 inch sign and put it behind the fixings. For fixings, I put out homemade marshmallows, peppermint candies, caramels, cinnamon sticks, chocolate chips, and I accidentally left the whipped cream in the fridge. Oops. Again, I used the tented cards with the editable text fields to fill out the labels. The collection comes with three pages of printed paper. I used one of them to line my hot cocoa bar tray. Here are the tented cards up close. 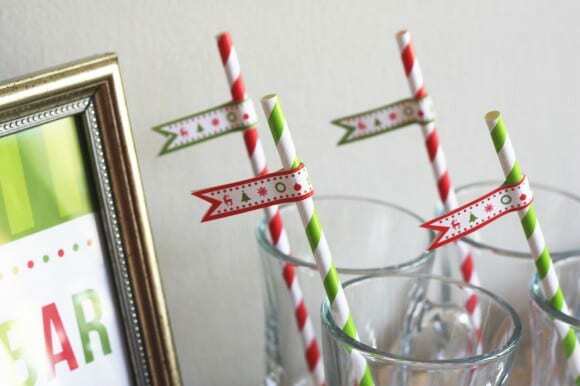 Here are the straw flags I attached to my red and green striped straws for a little extra flair. 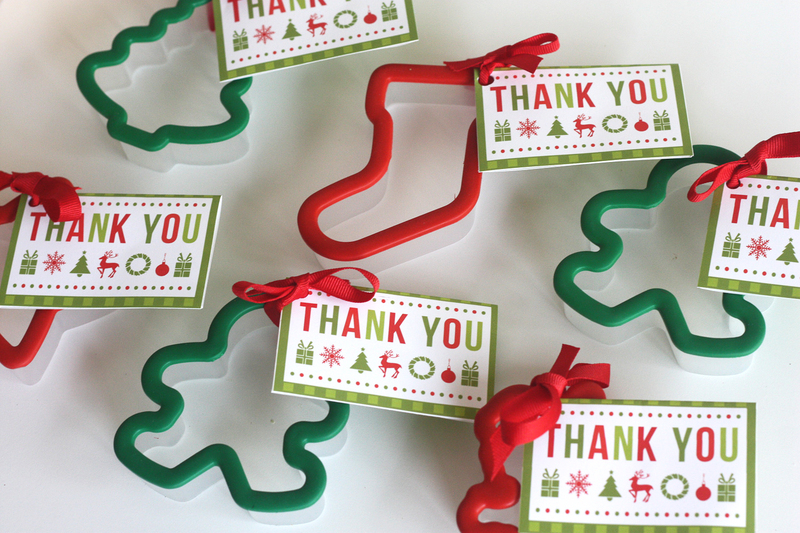 And for party favors, I used the thank you cards and attached them to Wilton Christmas cookie cutters. I thought this would make a perfect take home gift. Also, there are so many items in this collection, I didn't even get a chance to use everything. 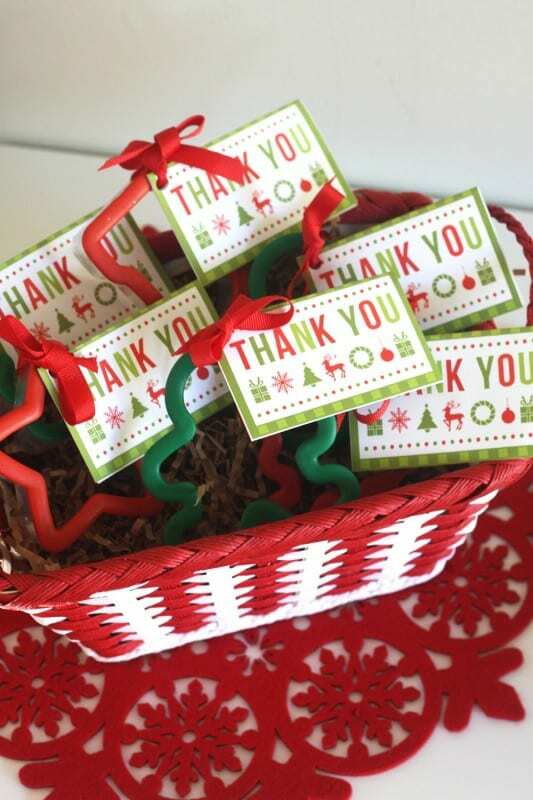 In addition to what I've shown, you will also find: mini chocolate bar wrappers, large party circles, gift tags, silverware wrappers, another "Cookies and Cocoa" welcome sign, a large "Cookies and Cocoa" banner, and two extra pieces of printed paper. I told you we've got everything! If you use our collection for your upcoming party, please add your party to our site, I'd love to show it off! Hi Jillian, My daughters picked this theme for their Holiday party! So so cute!! I am trying to edit the tent card but I can't change the size of the font. Is there anyway around that? The words won't fit inside the text box. Any help is greatly appreciated! Love it, Jillian! 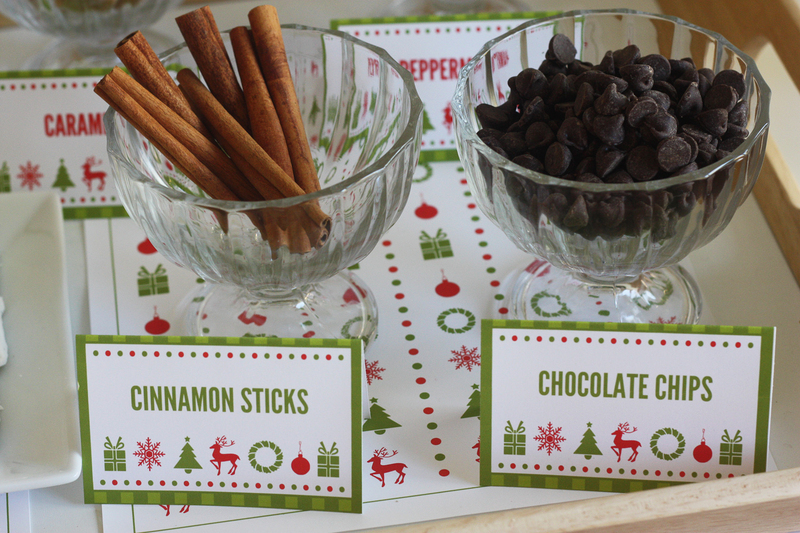 You made the printables look so good, thanks so much! Hey! 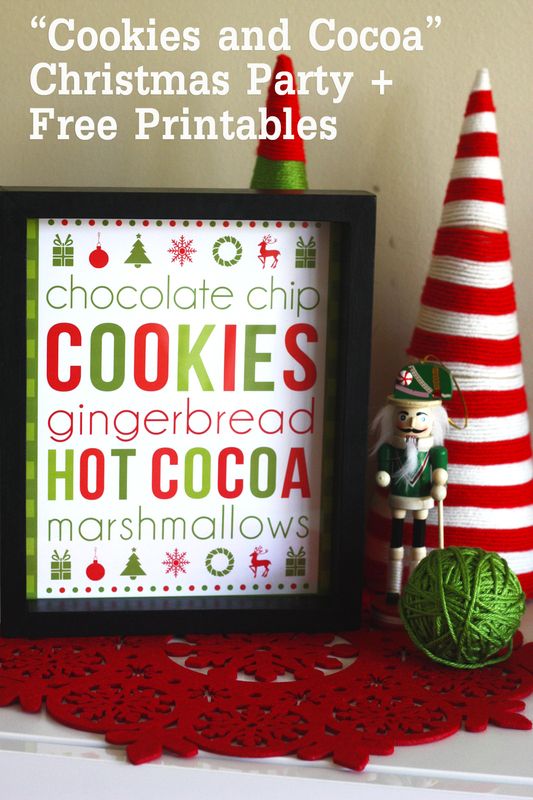 I can't seem to download this free printable. It's is saying that there is an error. I am planning my daughter's party and would LOVE to use this. Can anyone help? I just found this TODAY and I'm hosting a cocoa & cookie party in two days! Serendipity! Thank you for the darling collection! 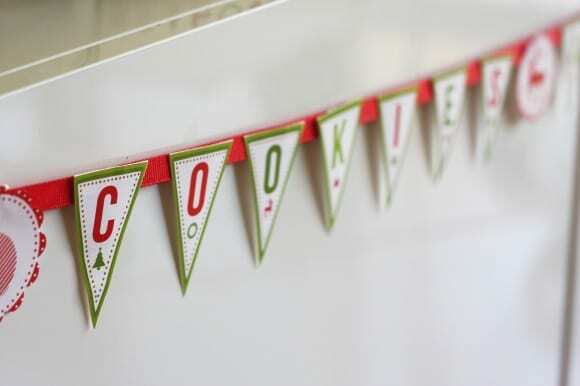 I'm "tossing" the other ideas & printables I had these are so awesome! Hi! 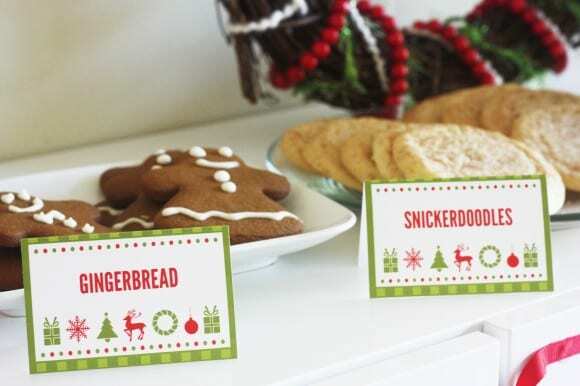 I absolutely LOVE these printables! I will definitely use this for our first Christmas party this year. But I do have a couple of questions. On the tent cards, whenever I try to type in something else, it stays that same font, not going back to the original one. It's doing this to me on every single one of the text inserts. Please help! Thank you!